Is sitting all day making your leg veins worse? Many people spend a lot of time sitting during the day. Some do it at their desks, on their daily commute or while relaxing at home. Taking a load off your feet can be relaxing, but sitting too much can increase your risk of getting varicose veins— not to mention being bad for your heart health. Reducing your risk of developing varicose veins or keeping them from becoming worse doesn’t mean giving up sitting. But it does mean becoming more active throughout the day. The muscles of the lower legs also help return blood to the heart by acting like pumps. Every time you move your legs, the muscles squeeze the veins. But if you sit or stand in the same position for long periods of time — especially with your legs crossed or bent — your blood doesn’t flow as well from the legs to the heart. Over time, this can lead to varicose veins. The best way to reduce your risk of getting varicose veins from sitting all day is to move around more. This will increase the flow of blood from your legs. One of the best ways to improve your blood flow is to exercise regularly. If you can’t move around that often —or are flying on an airplane—try flexing the muscles of your legs and wiggling your toes to increase the flow of blood from your legs. If you alternate between sitting and standing, remember that standing still for long periods of time can also increase your risk of varicose veins. Remember to move around every half hour, whether you are sitting or standing. Also, try to keep your feet elevated while seated, such as by resting them on a stool or block. You can do this at work or while watching television or reading on the couch at home. And whenever possible, elevate your legs above the level of your heart for a few minutes several times during the day. For example, lie down with your legs resting on pillows or with your feet on the wall. Not only will moving around more during the day reduce your risk of varicose veins, it is also good for your heart and will increase the number of calories that you burn. So if in doubt, move about. Venous reflux is the abnormal backing up of blood into the vein. Veins are blood vessels which bring blood back to the heart. In normal venous circulation, oxygen-depleted blood travels up the legs, back to lungs to become re-oxygenated, and then back to the heart. Venous blood is “pumped” primarily by the action of the calf muscles, pushed through the veins back up to the heart, against gravity. To support the upward travel of blood back to the heart, veins have one-way valves with two flaps (cusps) which act as one-way doors. Valves open when venous blood is pushed towards the heart. If venous blood starts backing up, the valve cusps slam shut, preventing blood from backing up (reflux). The backing up of blood can cause a number of symptoms. Edemain the legs and ankles occur when veins become overly full with blood, causing fluid to leak, and legs and ankles to swell. Venous stasis ulcersare slow or non-healing wounds around the legs and ankles which form when blood pools in the veins. 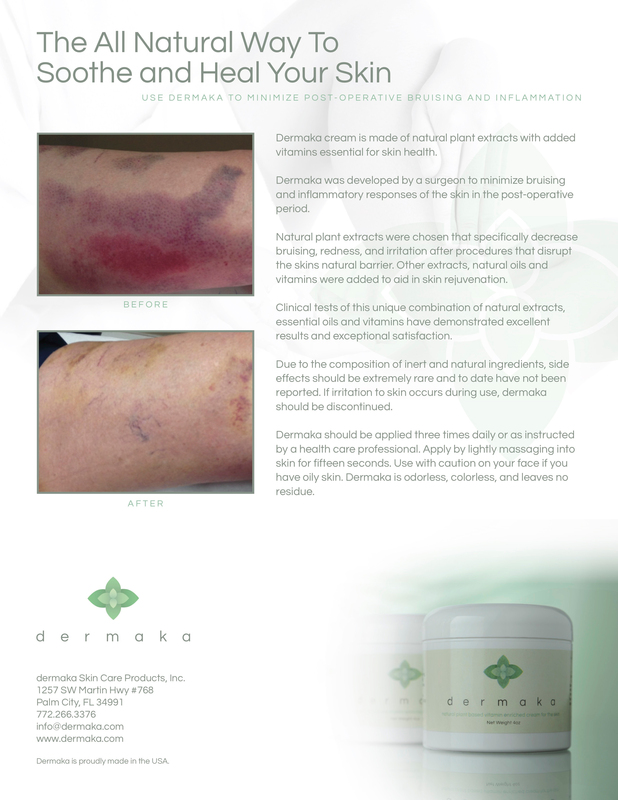 Overly full veins can create high pressure and cause breaks in the skin which are slow to heal due to compromised circulation. 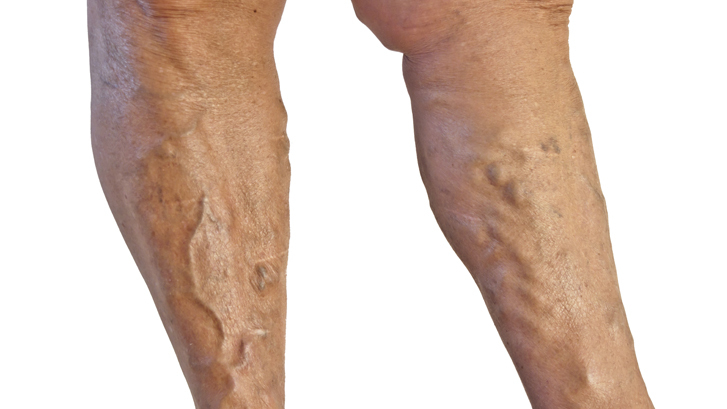 Varicose veinsare created when veins become engorged with blood, producing thickened, twisted rope-like veins visible close to the surface of the skin. Varicose veins can be painful. Reticular veinsare thin, red colored veins noticeable at the surface of the skin. Telangectasias, also known as spider veins, are thin, reddish, web-like veins noticeable on the surface of the skin. Both reticular veins and spider veins are rarely painful or problematic to the health. 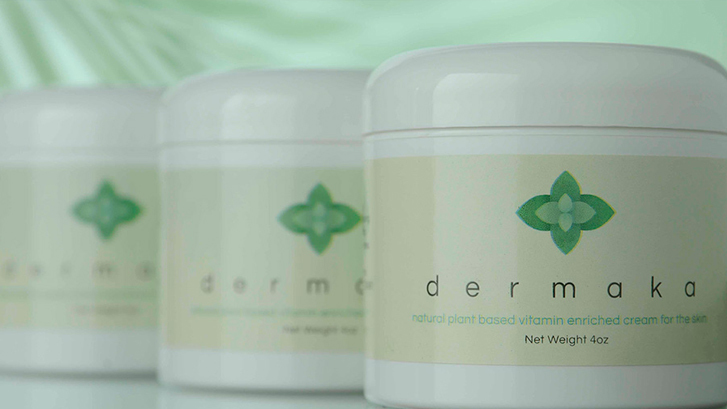 Patients are more often concerned with their cosmetic aspect. Painis often accompanies the symptoms of venous reflux. Sometime legs can feel itchy or sore. The cycle of venous reflux can be self-propagating, and proper diagnosis and treatment are essential to stopping the cycle. 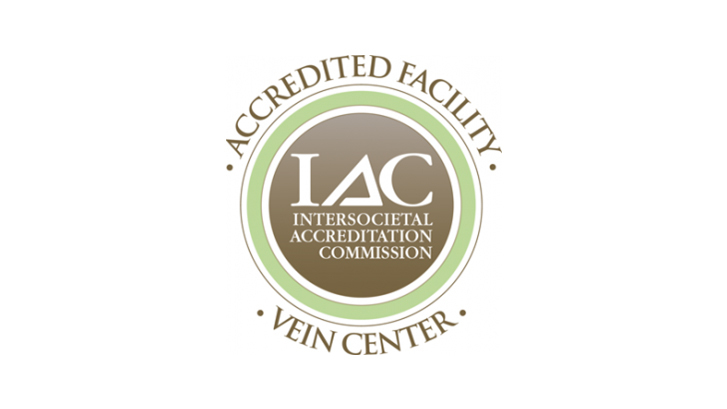 Varicose veins are a very common condition in the United States, affecting one out of two people age 50 and older, and 15 to 25 percent of all adults. These dilated blood vessels in the lower extremities are the result of damaged valves which allow blood to pool in veins. 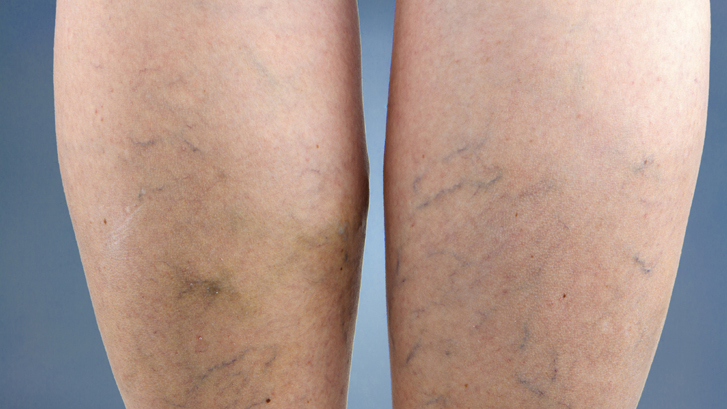 This pooling causes the veins to appear dark purple or blue and visibly bulge from the leg’s surface. The word “varicose” is derived from the Latin root word “varix,” which is translated in English as “twisted.” Any vein in the body may become varicose, though certain contributing causes of varicose veins make the legs the most susceptible to this condition. Varicose veins occur in the legs and lower extremities because standing and walking increases the pressure in the veins in the lower half of the body, and the higher pressure can compromise the functioning of the valves. 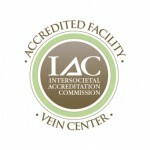 In healthy, normally functioning veins, tiny valves placed throughout the vessel allow appropriate amounts of blood to flow through the vein, in one particular direction. When these valves malfunction, circulation isn’t regulated properly, overfilling the vein and/or allowing blood to flow in the wrong direction. This causes the unsightly, dark coloration and texture that are the visible indicators of varicose veins. While varicose veins can appear unsightly and be a source of embarrassment for some individuals, the affected veins can also cause uncomfortable medical symptoms. Sensations of heaviness, aching, and tingling can be attributed to the presence of varicose veins. 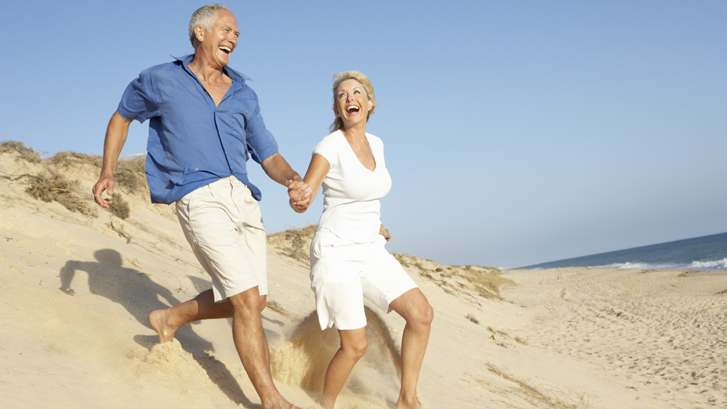 While not life-threatening in themselves, varicose veins may lead to serious problems if left untreated. At a minimum, people with varicose veins should have them evaluated by a specialist because these veins can serve as an indication that the individual is at a higher risk of other, more serious disorders of the circulatory system.